The federal government has assured operators in the ceramics industry of its continuous support to lift the sector. 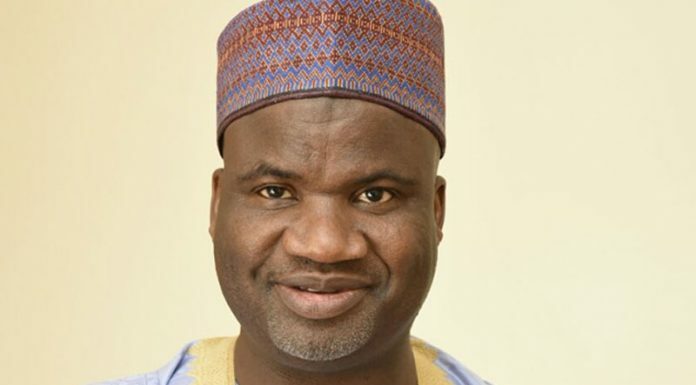 The government, through the Minister of Mines and Steel Development, Alhaji Abubakar Bawa Bwari, gave the assurance at the unveiling of Royal Marble, a product of Royal Engineered Stones Limited. The event held recently in Abuja. The minister congratulated the West Africa Ceramics company for using such a unique technology, which he considered among the best in the world, promising that the government would support all efforts at adding value to whatever is mined or harvested in the country. He commended the determination of West Africa Ceramics for continuing to operate in the face of adverse economic conditions and their support towards the economic diversification efforts of President Muhammadu Buhariâ€™s administration. According to him, â€œThe fact is that if this country must realise its dream of economic diversification, the ceramics sub-sector has a crucial role to play since the main raw material, clay, is found in every nook and cranny of the country. â€œI believed that the rebirth of the ceramics industry is key to attaining economic opportunities and employment for Nigeria teeming youth. Bwari, revealed that the construction industry was growing globally and rapidly because of urbanisation projects in emerging countries and he believed that Royal Marble was set to take over the West Africa market. According to him, the success of the company would further encourage government to consider creating ceramic clusters in different parts of the country. This, he said would promote economic growth and to also encourage patronage from users through a local content policy. He expressed hope that the success of the Royal Marble product would inspire further investments in the sector. He however condemned the continued importation of ceramic wares in the country which he said had resulted in loss of massive foreign exchange. Earlier in his welcome address, the Executive Chairman, Royal Engineered Stones Limited, Alhaji Lawal Idirisu, said in more than three decades since he made debut in ceramic tile and sanitary ware production, the Royal brand has become a phenomenon in the lives of all stakeholders in the built environment. He attributed the success of the launch of the Royal Engineered Stones Limited and consequently the new product line- Royal Marble themed â€˜Harnessing Engineered Marble for Value Creation in the Built Environmentâ€™ to the immeasurably supports received from Nigerians. Idirisu said Royal Engineered Stones Limited is a wholly indigenous brand manufactured in Nigeria, by Nigerians and for Nigerians, bearing in mind the peculiarity of Nigerians as regards appreciation for aesthetics and sophisticated finishing. In his remark, the President of the Nigeria Institute of Building, Kenneth Nduka, described the launch as another milestone in the economy, saying it would help to produce world class building materials that would market the potential of the Nigerian economy and serves as an added impetus for the implementation of the federal government Local Content policy.